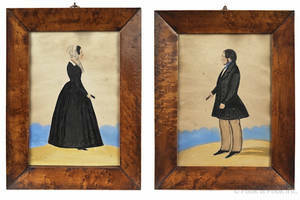 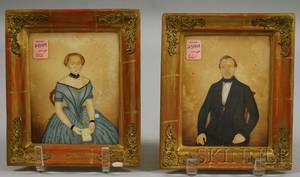 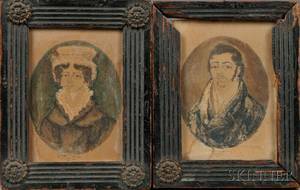 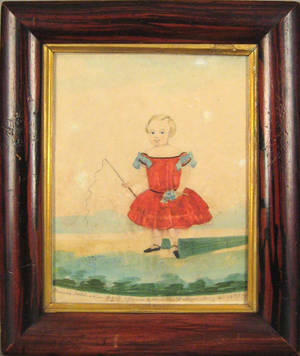 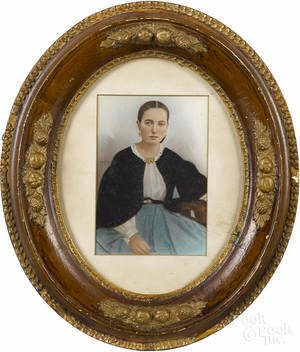 Pair of watercolor portraits of a husband and wife dated 1864, 29 1/2" x 13". 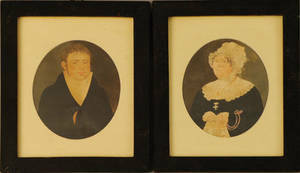 Pair of watercolor portraits of a husband and wife, early 19th c.
American/Continental School 19th Century Pair of Small Portraits of a Man and Wife. 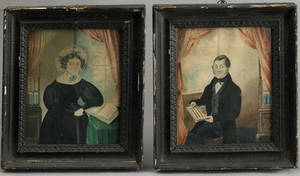 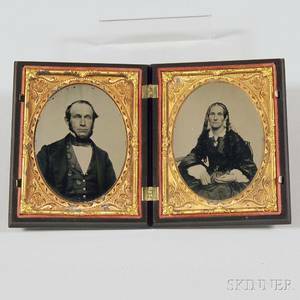 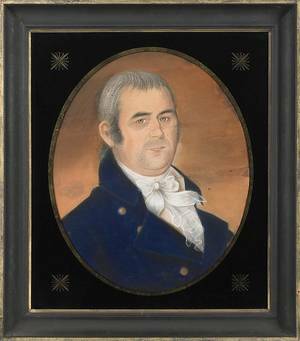 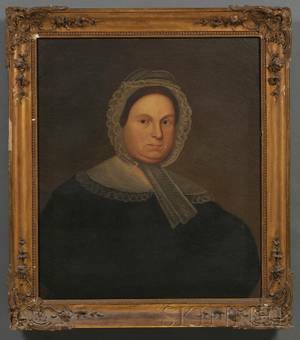 Zedekiah Belknap (American 1781-1858) Portraits of a Husband and Wife.